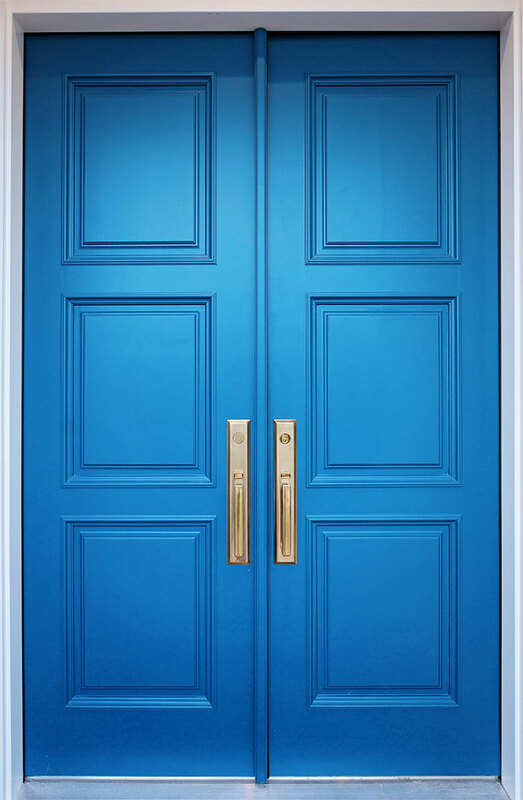 For exterior doors, sealing the weather out is important. This will require a t-astragal and flush bolts. 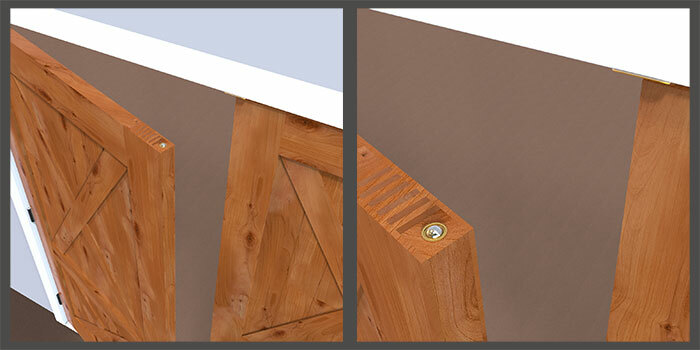 The t-astragal is a wood divider between the door that acts as a doorstop for the active door and holds the weather strip. One door will be fixed with flush bolts while the other door will be the active door. A flush bolt is hardware installed on the edge of the door or t-astragal that pushes a metal pin into the jamb and threshold effectively locking the door in place. The flush bolted door can swing open once the bolts are retracted. If you have an interior double door, but you want to have privacy and be able to lock the door, for example, a bedroom or bathroom door, you will want to choose to have a t-astragal and flush bolts like the exterior doors option. The only difference is that it is meant for interior use. Flush bolts usually are just on the top, but they can be added to the bottom as well. No weather strip is needed for these doors. 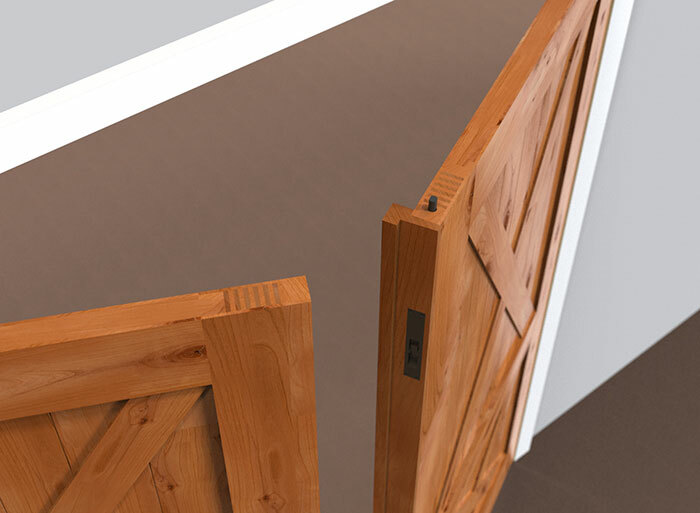 Just like the exterior version, one door will be the active door while the other is fixed in place with the flush bolt. They can both open if the flush bolt is retracted. If you need a double door that will not need to be locked and privacy isn’t an issue such as a closet or dividing common rooms, you will want to choose the roller latch option. These doors don’t have t-astragals so either door can open independent of the other. The top of the door will have a roller Latch that will hold the door closed. 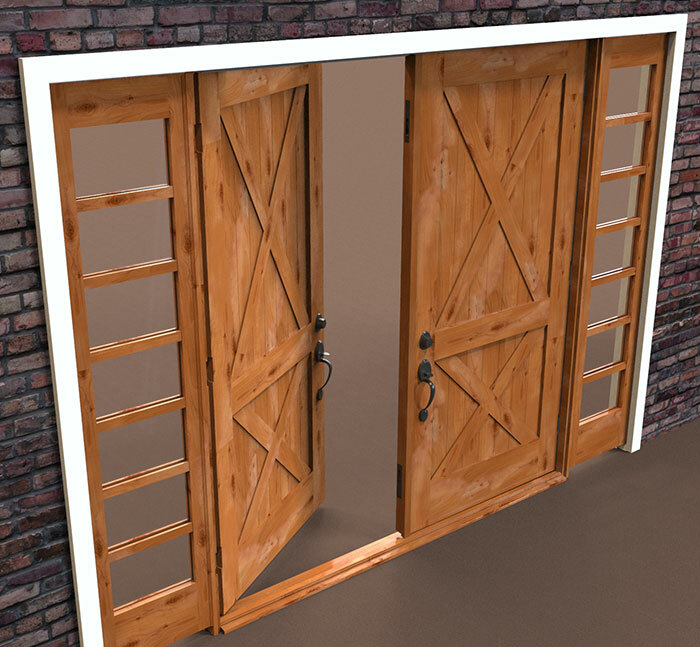 Shop our huge selection of doors including double doors now!